The Hobie i12s is an inflatable kayak that uses Hobie's Mirage Drive system. It is perfect for touring and fishing use and for those who are unable to transport a regular kayak. Looking for a MirageDrive kayak but are unable to transport and store it? 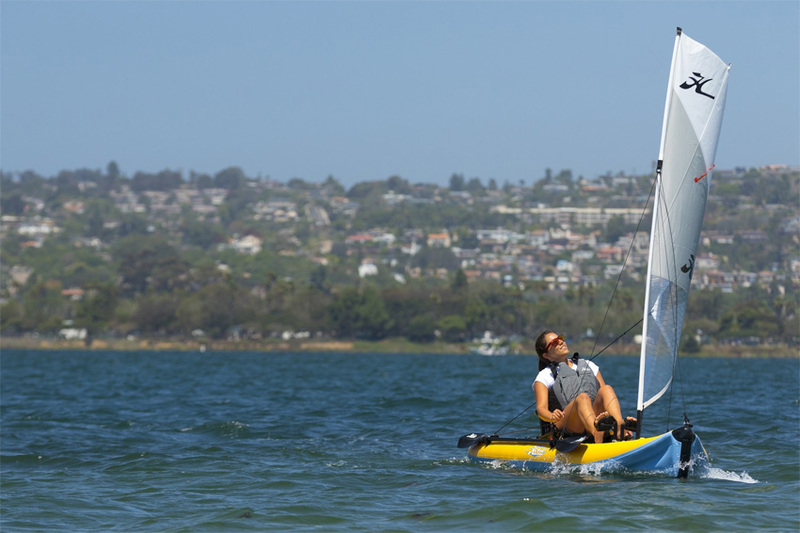 The Hobie i12s is the perfect solution. 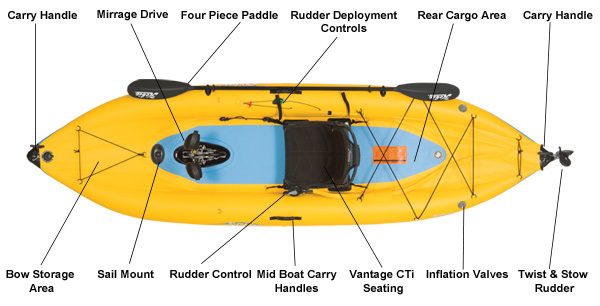 It is an inflatable kayak featuring Hobie's MirageDrive system. Pedal, paddle and can even be sailed with the optional sail fitted. The i12s is extremely durable, it is constructed from tough PVC and has a reinforced hull. A hand operated rudder system makes steering the i12s effortless and easy, whilst sitting in the comfortable padded seat with excellent back support. The i12s come with a rolling carry bag for easy transportation and convenient storage. We offer a delivery service for the Hobie I12s throughout the UK & Ireland to home and work addresses. If you are local to our shop in Hamworthy, Poole then we may be able to deliver a Hobie I12s with one of our own vehicles. For boats, this is free to most BH Postcodes - please call us on 01202 625256 to discuss your requirements. Buy a Hobie I12s online from our website and collect from our shop in Hamworthy, Poole or you can collect from any branch within the Canoe Shops Group. There is no cost associated with instore collection.